In October 2006, which was 12 years ago, People Daily Online Newspaper published the excitement and celebration of Dr. Professor Gabriel Oyibo discovery of the ultima formula for everything called GAGUT.Dr. Prof. Gabriel Oyibo, Nigerian- American scientist, was named the recipient of the maiden edition of the Africa International Prize for Science and Technology. With this great achievement alone, many people were not then, and still are not today, aware of his accomplishment, and how it has an impact on every aspect of our life… Body, Mind, Soul, and Spirit, and Art, Science, Technology, Engineering, Math. Even though the erection of this Grand Historical Marker signified courage, strength, and uncomprehendable wisdom possessed by Africans/Blacks; many did not know about this and other achievements; especially the birthing of GAGUT, and the many nominees and prizes awarded him. 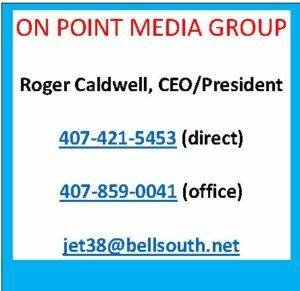 This is due largely to the lack of publicity through and from controlled broadcasting stations and major media. Unfortunately, today many Africans/Blacks universal wise, still are not aware of these prestigious Grand Historical Markers presented to the universe by Dr. Prof. Oyibo. The acceptance of this award by Dr./Prof. Oyibo; in 2006, took place in Abuja. During the speech, the Director-General of the Africa International Foundation for Science and Technology (AIFST) Yakubu Ugwolawo further expressed his appreciation with much vigor by saying “Oyibo was recognized for his scientific discovery”. Ugwolawo also stated by People Daily, saying that [Dr./Prof. 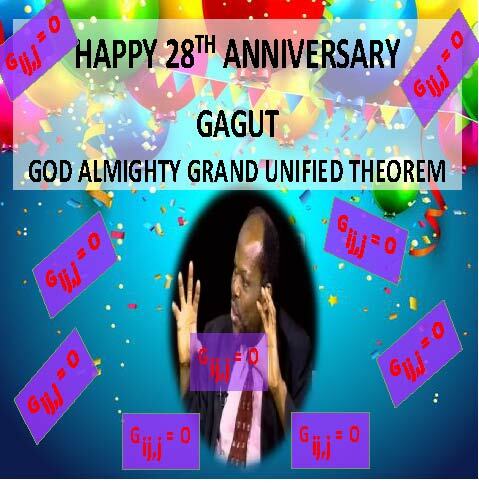 Oyibo] the THREE-TIME NOMINEE FOR THE NOBEL PRIZE in Mathematical Physics was honored for his discovery of the God Almighty’s Grand Unified Theorem (GAGUT). “’It is for the imperative need to launch the continent of Africa into modern world of growth and prosperity that AIFST resolved to honor Oyibo with its maiden award for the Africa International Prize for Science and Technology,’ said Ugwolawo. Explaining the purpose of the event, Ugwolawo explained that the foundation instituted the award to honor and champion the promotion of Africans who have distinguished themselves in the field of science and technology. 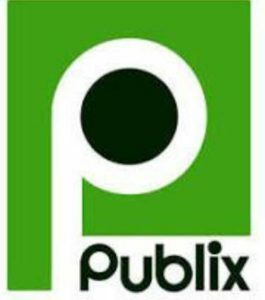 The prize, has now become an annual event, featured the selection of persons and corporate organizations that have conveyed the greatest benefit to mankind by ways of making outstanding discovery or inventions within the field of science and technology. People’ Daily Online also quotes Ugwolawo as saying “Oyibo, through his discovery of GAGUT, has ascended a greater height and this has been acknowledged by all those who matter in the world of science,” he said. 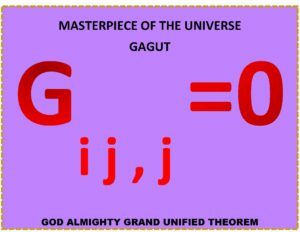 GAGUT, discovered by Oyibo, is a revelation from God of the secret code to the universe for humanity in a simple equation of Gij,j=0. The equation geometrically and exactly reveals that everything in the universe is conserved within a transformation process over space and time, he added. The Riemann Hypothesis had long been considered the greatest unsolved problem in mathematics; until 1990, when GAGUT: The Holy Grail of Mathematics and Physics, was discovered by Dr. Prof Oyibo. The Holy Grail of Mathematics and Physics; GAGUT: God Almighty Grand Unified Theorem is not a theory but a Theorem with the built-in capability to solves and resolve all theories. This Theorem birthed 28 years ago in 1990, was gifted to the African/Black people through the Godliness of dedication to Dr. Professor Oyibo. Since all of these remarkable historical events have held true for 28 years and still standing strong; this month, this year, and until eternity, you are invited to celebrate everyday; The Holy Grail of Mathematics and Physics; GAGUT: God Almighty Grand Unified Theorem, with Big Banging- Ringing- Blasting on and off social media.